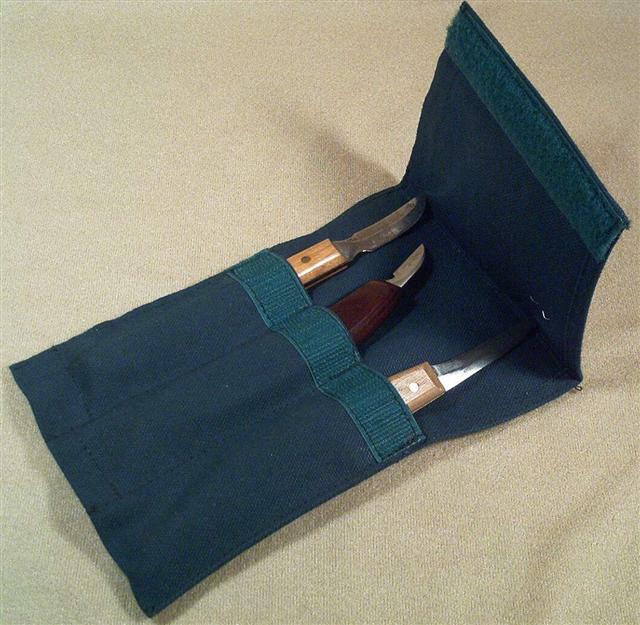 Carving Knife Canvas Toolholder 3 slot 5 x 7 inch Style 5. Designed to hold 3 bench knives. Specify Color.